Welcome to our free Bible crossword puzzles page. Like our Bible Trivia and Bible words search puzzles, these crossword puzzles can also be used for fun and also to learn more about the Bible. Feel free to contact me and suggest topics for crossword puzzles. Our first Printable Bible crossword puzzle is 'About Adam'. 1 What his wife was called. 5 Who he shall cleave to. 8 What was in the air that he named. 10 What his wife saw the tree was pleasant to . 11 What God made to cloth them with. 13 This is now bone of my ____. 16 What they did because they were naked. 18 What they heard the voice of the Lord God doing. 19 Who a man shall leave. 24 The name of the tree they were not to eat of. 28 Where the tree of good and evil could be found. 31 What was in the fiield that he named. 33 What he was formed from. 36 What God put him in the garden to do. 2 What the serpent said their eyes would be. 3 What God breathed into. 4 What the serpent said they would be as. 6 What his wife gave him to eat. 7 What his wife was the mother of. 9 What to her the tree desired to make one. 12 Not good to be _____. 15 This was more subtil than any beast. 20 How they felt when they knew they were naked. 21 They were not to eat of everyone of these. 22 What God made for him. 23 What God caused to fall upon him. 25 The serpent said it would not surely happen to them. 26 What the woman said the serpent did to her. 27 What they realized they were. 30 What his wife saw the tree was good for. 32 What his wife was created from. 34 Adam and his wife were the first people to do this. Click the links for the Printable Bible crossword puzzle 'About Adam' and the solution. Bible History Crossword - Old Testament #1 - Solution. Click here for Bible Trivia Questions on the Creation Story. Click here to read Bible verses on the Creation Story. Joseph Tempted and the solution. Joseph and Pharaoh and the solution. Birth of Moses the solution, and Bible verses. Birth Of Christ the solution, and Bible verses. Daniel In The Lion's Den the solution, and Bible verses. Check back for more free Bible crossword puzzles. 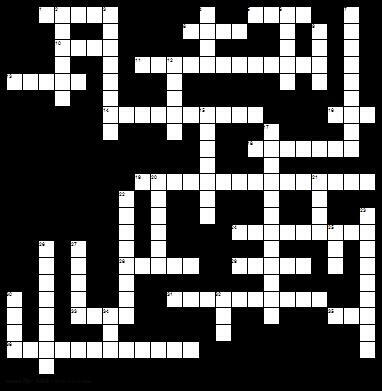 If you appreciate these Crossword puzzles please like this page. Click the links to go to my Bible Trivia or Bible Word Search pages.